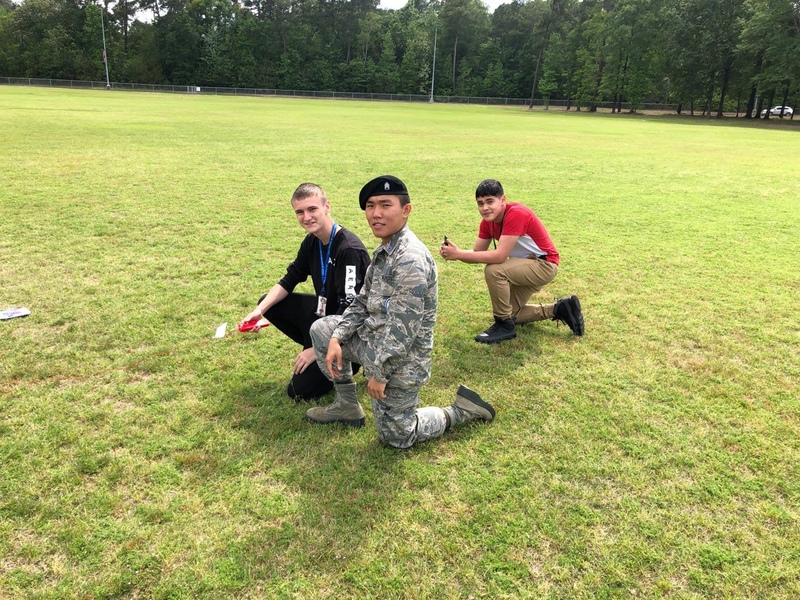 Porter High School Air Force JROTC added model rocketry as a new team available for cadets to participate in. 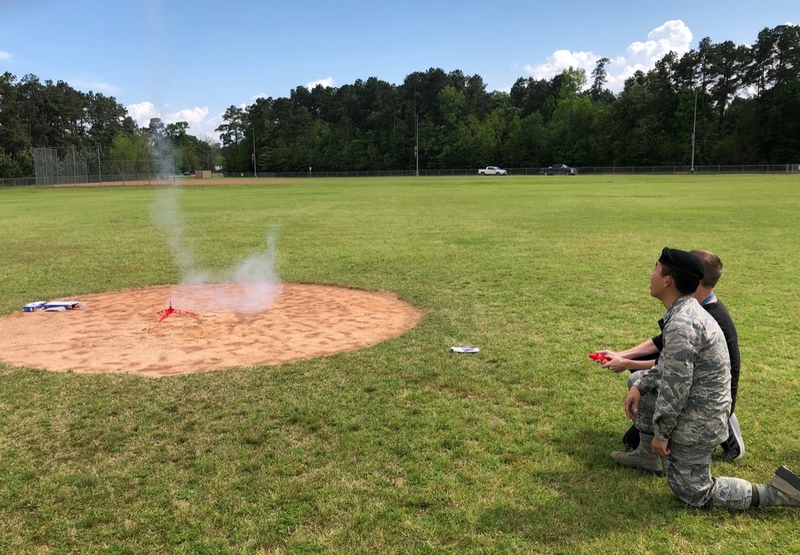 On Monday, the newly appointed Rocketry Team Commander Cadet Captain Conner Carsten and a select few cadets took to the fields and successfully launched their first rocket. Porter AFJROTC offers: Unarmed Drill, Armed Drill, Unarmed Exhibition Drill, Armed Exhibition Drill, Color Guard, Physical Training Team, Orienteering, Academic Team, Kitty Hawk National Junior Honor Society, Spirit Corps, School Mascot program featuring a Spartan and Spartanette, Marksmanship, Sabre Team, Honor Guard, Awareness Presentation Team, Recruiting Team, Drone Flying Team and now Model Rocketry.